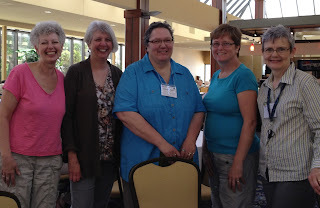 Magpie Quilts: Etsy Quilts Team members Meet at Quilt BC in Penticton! Etsy Quilts Team members Meet at Quilt BC in Penticton! I belong to a few online quilting groups and one of my daily check-ins is with the Quiltsy team over on Etsy where I sell my quilts. Etsy is a unique selling venue in that there are teams that are created to provide support and community for sellers. I belong to a few different teams, one that is made up of Canadian sellers, one for Alberta sellers and one for Quilters - Quiltsy! 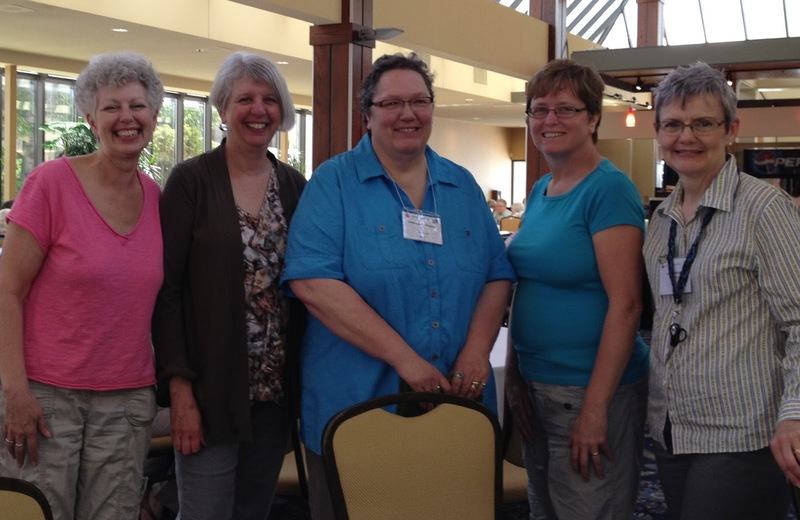 It turns out that a few quilters from the Quiltsy team were also going to attend Quilt BC 2013 in Penticton, British Columbia. Meeting people in person that I've only ever met online was amazing! Here's a little post on the Quiltsy team blog that describes our lunch last Friday!